Now that you have the PayPal Invoice plugin installed on your WordPress website, follow a few steps to configure the plugin. You will link it to your PayPal account so that the plugin can create invoices on your behalf. You may also configure some optional values that the PayPal invoice will include by default. 1. Go to PayPal Invoicing -> Settings. If you are testing with the PayPal sandbox, check the box to Enable PayPal Sandbox. Click the Log In with PayPal button to connect your PayPal account to the Invoicing plugin. If you have your own PayPal REST App configured for use with the Invoicing APIs, you may enter your credentials here for use with this plugin. Click “Add my own app credentials” to paste credentials from your own PayPal REST App. Make sure your REST application has been configured for use with Invoicing APIs. If using the Sandbox, make sure to enter Sandbox account credentials here. Copy/paste the REST app credentials from your own app to use them with this plugin. New PayPal invoices will include this information by default. The invoice will display the data where merchant / seller details placeholders are for the invoice. The details entered here will be used by default on new PayPal invoices that you create. There are a number of values available that could be the same or different on each PayPal Invoice that you create. If you would like to set a default value for these fields you can do so here, and these values will be automatically applied to any new invoice you create. Once the invoice has been created you may adjust these values. If you would like to use a percentage based shipping amount, use the Shipping Rate field. If you would like to use a flat-rate shipping amount, use the Shipping Amount field. This name relates to the tax rule on the invoice. The plugin will use this rate to calculate taxes on the order/item. The buyer will see the note left here on the invoice. The buyer will see these terms and conditions displayed on the invoice. Logging allows you to check the raw data that gets sent to and from PayPal for troubleshooting purposes. Logs are extremely useful if there is a problem that you need help fixing. Enable Logging – Check this box to enable the logging functionality. 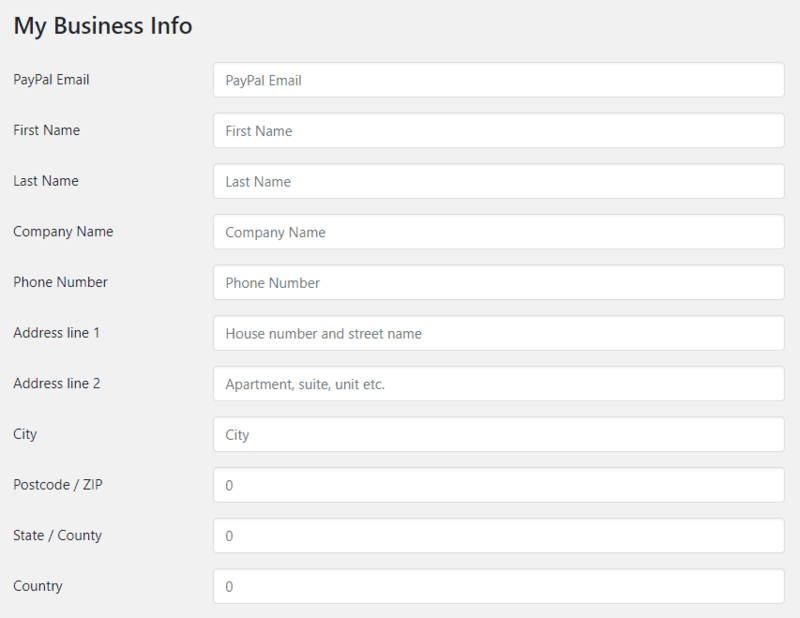 Log files will be available under /wp-content/uploads/angelleye-paypal-invoicing/ in your WordPress site structure. Now that you have installed and configured the PayPal Invoice WordPress plugin, it’s time to put it to action! Take a look at our user guide for details on creating and managing PayPal Invoices.